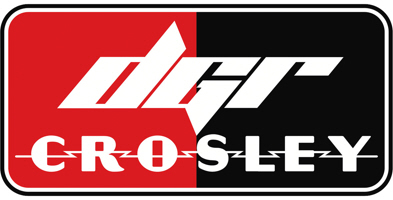 MOORESVILLE, N.C. (Feb. 7, 2019) – DGR-Crosley heads to Daytona (Fla.) International Speedway this weekend for the ARCA Racing Series Presented by Menards season opener. The team will field two entries in Saturday’s Lucas Oil 200; the No. 4 Frontline Enterprises Toyota Camry driven by Todd Gilliland and the No. 54 N29 Technologies Toyota Camry for Natalie Decker. Both Decker and Gilliland will head to Daytona with confidence after a successful pre-season test last month. For 18-year-old Gilliland, this will be his first time racing on the famed two and a half mile track in Daytona, Fla. He has six previous ARCA Racing Series starts where he’s put together an impressive resume. Gilliland is the youngest driver to win an ARCA Racing Series event after being victorious in his series debut at Toledo (Ohio) Speedway at the age of 15. In his six races, he has one win, three top-five and five top-10 finishes. He also has collected one General Tire Pole Award which occurred at Charlotte (N.C.) Motor Speedway last season. Decker is no stranger to the ARCA Racing Series. The 21-year-old Eagle River, Wis. native, raced full-time in the series in 2018 as well as taking on a part-time schedule in 2017. This time last year, Decker won the General Tire Pole Award at Daytona International Speedway before going on to collect a career-best fifth-place finish. In 27 ARCA Racing Series starts, she has two top-five and 11 top-10 finishes with an average finishing position of 12th-place. Decker will have veteran crew chief Frank Kerr calling the shots from the pit box for the General Tire 200, and Cup Series spotter Kevin Hamlin on the spotter stand. The Lucas Oil 200 will be broadcast live on FS1 beginning at 4:30 p.m., ET on Saturday, February 9.